—Startup founders, software geeks, investors, and others are gathering in Madison for the eighth annual Forward Fest, which kicked off Thursday and runs through Aug. 24. Click here to check out the full list of events; it includes everything from “Fast-Track to Funding” to “Immigrant Entrepreneurship” to “Kids STEAM Programming.” See also these posts from Madison Magazine and The Wisconsin State Journal previewing the conference. 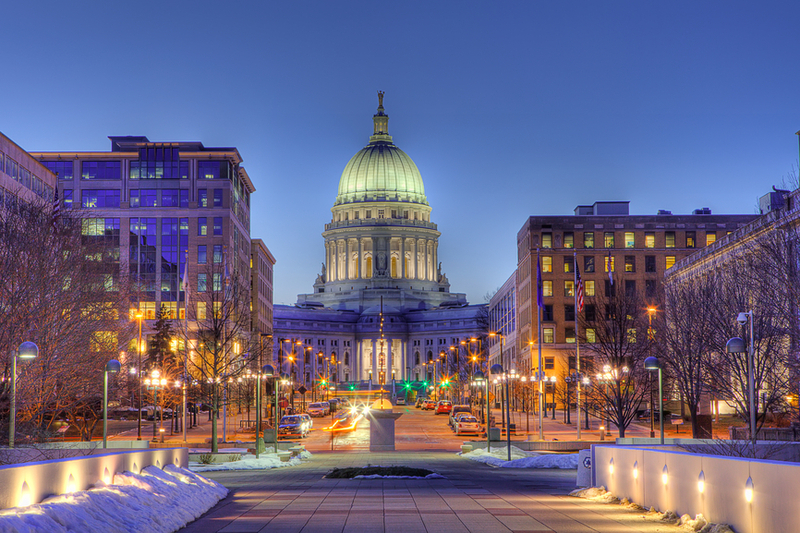 —We profiled two recently launched startups, both based in Madison. The first, Snippet, is building a mobile app allowing people with iPhones and other iOS devices to send each other clips of popular songs. The second, Kilter Rewards, has developed technology that awards users credits that can be redeemed at local eateries and retailers each time they log a workout at a participating gym, yoga studio, or fitness facility. —Markable, a fashion tech startup based in Madison, said it raised more than $2.5 million from investors. Sunnyvale, CA-based Plug and Play Tech Center led the financing, which comes about a year after Markable closed a $1.9 million round of equity funding. The Capital Times reported that the company has moved away from its initial plans to develop a Shazam-like mobile app consumers could use to find information on garments worn by supermodels strutting down the runway (or just strangers passing by). Markable is now reportedly focused on marketing its software to fashion retailers, rather than to the wider audience of smartphone owners. —Wisconsin-based Gener8tor graduated its two latest classes of gBETA, a free training program for entrepreneurs that has taken place in several cities in Wisconsin and Minnesota over the past two years. The two most recent programs were held this summer in Milwaukee and Madison. One of the five startups in the Madison class was NovoMoto, which sells packages of solar panels, lamps, batteries, and other equipment to villages in the Democratic Republic of the Congo. —Kiio raised $1 million in equity funding from a single investor, according to a document filed with federal securities regulators. The Madison-based company develops software and hardware to help patients understand and adhere to exercise programs to rehabilitate (or prevent) injuries. Kiio has now raised nearly $6.5 million from investors since launching in 2011, SEC filings show. —Stealth Therapeutics raised $140,000 from five investors as part of an equity financing round, according to a regulatory filing. In 2014, the Madison-based startup raised more than $450,000 to fund a study of the clinical performance of its flagship medical device, which delivers chemotherapy, antibiotics, and nutrients to patients intravenously. Stealth has said the device, known as Invisiport, is less invasive than traditional chest ports. —One more piece of funding news: Madison-based Centrose raised $200,000 in equity funding from a single investor, an SEC filing shows. The company is developing what are known as extracellular drug conjugates to treat cancer.